positive thinking Archives - Design This Life! There are many ways that positive thinking, and positive action, can benefit your life besides just helping you meet a goal. The power of positivity has been shown to offer many significant side effects, including to your health and for the benefit of others. If you are optimistic, you are more likely to handle stressful situations better than those who think pessimistically. Positive thinking tends to help you find alternative solutions to problems. This means you don’t worry so much that things won’t work out when there is a problem. Thinking positive also means you are more likely to ask for help from others or to devise a plan of action to deal with a problem. Negative thinking often leads to a defeatist mentality that has you believing nothing you do matters, so why bother. Negativity by definition creates more stress, as it focuses on what is wrong or could go wrong, whereas positivity focuses on outcomes and solutions. When your mind tends toward the negative, you are placing yourself into a stressed state of mind that you must then battle back from. Those who have a more positive outlook in life are less likely to have certain medical conditions, including depression and cardiovascular disease. Those who think positively often lead healthier lives, as they see the benefit in taking care of their bodies and practicing healthy habits regularly. They also have lower levels of blood pressure, perhaps due to less stress or better ability to respond to stressful events. Those with a positive mindset are more likely to be able to tolerate pain. While none of us wants to suffer with occasional pain, injuries and illness can occur. Optimistic people are more likely to be able to feel less discomfort and pain than those with more pessimistic perspectives. The mind plays an influential role in your body’s overall health and well-being. Keeping a positive outlook can actually keep you healthier over time. Researchers have identified a stronger immune system response in those with a more positive outlook. Those who had optimism toward a specific future goal were more likely to overcome illness quickly than those with negative outlooks. Negative emotions were more likely to lead to a weaker immune system response to the flu vaccine, as well. Those with a more positive outlook live, on average, ten years longer than their more pessimistic peers. This is likely due to the additive effects of these many health and wellness benefits already described. As well, statistics show a lowered incidence of depression and other mental health problems. Resilience is your ability to bounce back from setbacks or effectively cope with problems. When you have resiliency, you are more likely to be able to identify potential solutions. Resiliency allows you to believe that there is a positive outcome that is possible, and you can continue working toward your goal. A positive outlook can increase your ability to believe all of these things. Optimism means you are always looking for a way to solve a problem. Pessimism means you don’t believe there is a way to make things better. Your positive thinking contributes to your coping skills and makes you more likely to continue trying, even in the face of tough situations. Those with a positive outlook are much more likely to find a life partner, to stay married longer, and to feel more satisfaction in their relationships. A positive outlook means people will feel more comfortable with you and want to spend time with you. This helps you create better friendships as well as easier working relationships with colleagues. Those with a negative attitude make others uncomfortable or force people to avoid them because they don’t want that type of negativity in their lives. Positive thinking contributes to your hope for the future, which means you are more likely to make better decisions about habits such as drinking, smoking, diet, and exercise. You are also more likely to be socially aware of how your behaviors influence and are perceived by others. A positive outlook helps you resist social pressure to engage in unhealthy habits. This means you make better decisions for yourself and your health. A positive attitude can help you not only get hired for better jobs but also place you in leadership positions. You are more likely to be recognized as a leader when others see you as a positive force in the workplace. 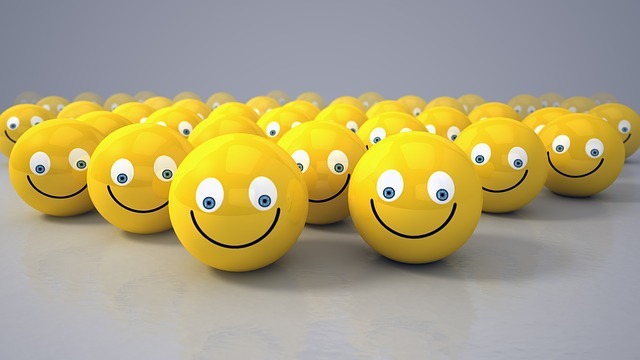 Research indicates that others are more likely to follow you when you have a positive outlook. Your self-esteem is directly connected to your outlook in life. When you think more positively, you will naturally have more confidence in your ability to succeed. This starts a cycle of success that leads others to believe in your abilities, as well. Your own sense of self will ultimately be enhanced . It’s a cycle that can be self-perpetuating when you keep your outlook positive. When you think positively, you are more likely to have a better overall enjoyment of life. Positive people are more outgoing, interact with more people, and find gratification and joy in many different aspects of life. While having a positive attitude will serve you well in life, it’s what you do with that outlook that means more when it comes to achieving your dreams. A positive outlook can be leveraged into actions that will help you attain your dreams and reach whatever goal you set for yourself. The positivity you have cannot only help you achieve whatever you set your mind to, but it can also help you be a healthier, happier person. An optimistic outlook improves your relationships and helps you attain more professionally. As well, it allows you to cope more effectively with whatever life throws your way. While having a positive attitude isn’t always easy, it is worth it to cultivate this mindset. The effort you put toward thinking positively will help you meet many of the best rewards in life. STAY POSITIVE AND TAKE CARE OF YOU!